Today, February 24th, the I Heart Fashion Benefit will be held at the Coastline Convention Center starting at 7:00pm. The event, which is put on by the New Hanover Regional Medical Center benefits the Heart Center. Proceeds this year will go towards the purchase of an electronic patient tracking system and board for the Heart Center Catheterization and Electrophysiology labs. The Fashion Benefit is an opportunity to check out the latest fashions, which will be modeled by community members, hospital employees, and patients. There are over 40 models walking the runway who will be wearing collections from local shops and boutiques in the Wilmington area. Tickets cost $35.00 a person and include hors d’oeuvres and two drink tickets. To purchase your ticket visit https://www.nhrmc.org/nhrmc-foundation/get-involved/special-events/i-heart-fashion. This Saturday, February 27th, is the Gents Rocks ‘n’ Roll Cocktail Party at the Country Club of Landfall Clubhouse. Starting at 6:30pm and lasting until 11:00pm this event has become an annual tradition and is now in its 6th year. The Gents are a music group that has been playing classic rock for decades and performing on Saturday night for the 60’s theme party. The event is privately sponsored and is open to all members and non-members. Guests are required to make a reservation and costs $30 per person. There will be complimentary hors d’oeurvres and drinks by cash or member number. The proceeds benefit the US Coast Guard Academy Cadet Musical Activities Program. This Rock ‘n’ Roll Party is a great event so come dance, listen to the band play your favorite classics, and donate to a worthy cause. This weekend at Thalian Hall, Wilmington’s premier venue for the performing arts, the play Mary Tudor will be performed. The play, which started on February 12th has showings until February 29th. Presented by the THCPA Cube Theatre, the play is about King Henry VIII’s older daughter and Queen Elizabeth I’s half sister, who went on the rule England as “Bloody Mary”. Set during the height of Henry’s power, the King divorces Mary’s mother to marry Anne Boleyn. The play is captures the drama, conflict, and blood shed that ensues in Tudor England. Performances are this Thursday, Friday, and Saturday at 7:30pm and a matinee showing on Sunday at 2:00pm. Ticket prices are between $22.00 and $25.00. For more information or to purchase tickets visit Thalian Halls website http://www.thalianhall.org. 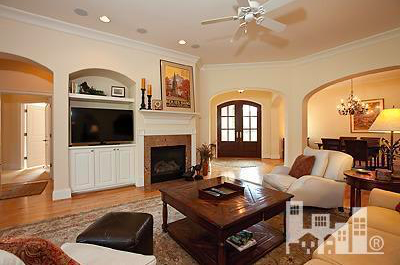 This Villa home has a European flair with over 3000sq ft of heated living space. The open floor plan has 4 bedrooms and 3 1/2 baths. The great room is the central part of the home, which flows naturally into the dining room, kitchen and breakfast areas. An entire wing is dedicated to the owners’ retreat, which includes double walk in closets. The home’s library, found just off the foyer area, features an open view to the covered entry. Enjoy the outdoor living area with a gas fireplace and beautiful views of the Nicklaus Golf Course. 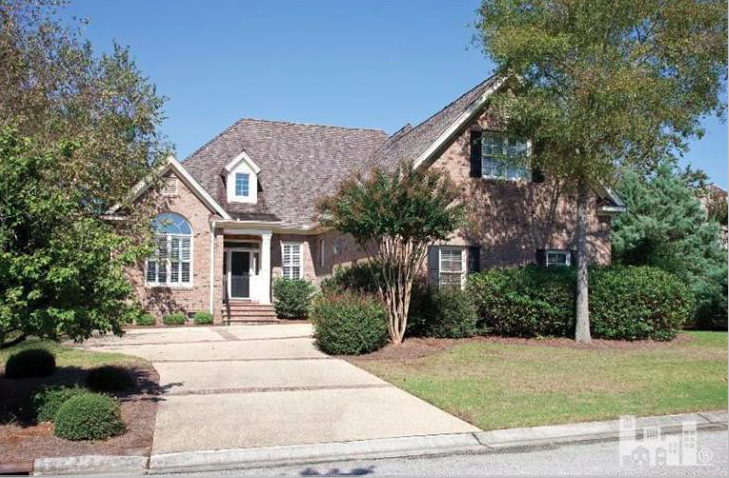 Enjoy easy living in this low maintenance all brick home in the Birkdale Community of Landfall. This 3 bedroom, 3.5 bath home features a downstairs master suite with dual walk-in closets, separate vanities and garden tub. This home has an open great room with a fireplace, built-ins and doors leading to a large screened in porch, perfect for entertaining. 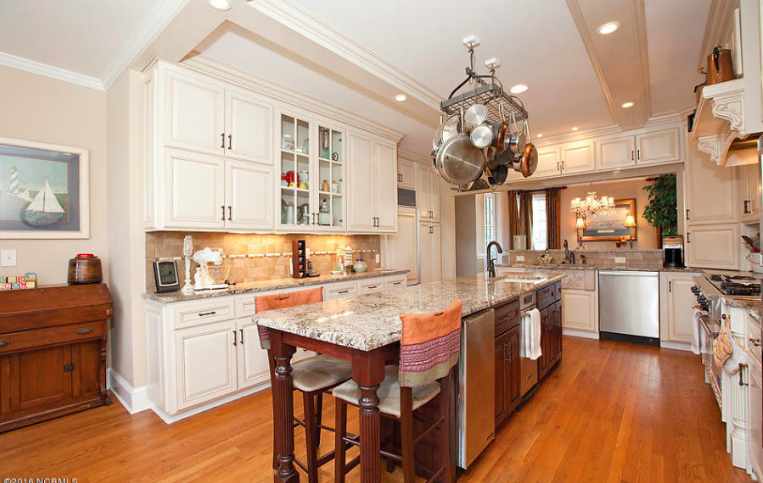 The downstairs also includes a study/den, formal dining room, open kitchen with large granite island, stainless appliances, granite countertops, and an eat-in breakfast area. Upstairs you’ll find 2 more bedrooms, plus a large bonus room, which could be used as the 4th bedroom/guest suite. There is also a 10X12 climate controlled storage area/flex space. Relax and enjoy. The yard is maintained by Landfall HOA. This Sunday is Valentine’s Day! Whether you are someone who loves spending the holiday with your significant other or are single and looking for a fun activity to take part in, we have suggestions for everyone. On Saturday at 9:00am there is the Wrightsville Beach Valentine 10K Fundraiser. There is also a Loop Walk that is untimed for the more leisurely participants. The race begins in Wrightsville Beach Park, circles under the drawbridge, and over the causeway. Admission is $40.00 to $45.00 with proceeds benefitting the Wrightsville Beach Parks and Recreation events and activities. So wear your red, pink, or white and come out to join in the race or support the participants! For more information go to https://its-go-time.com/wbvalentine10k/. 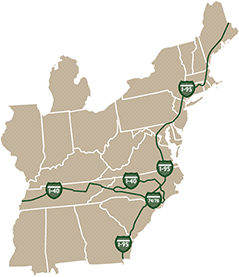 In Downtown Wilmington from now until February 15 the Horsedrawn Tours are offering a Valentine Carriage Ride. The tour includes a rose, chocolates, and a private French evening coach. Call to book a reservation or visit http://horsedrawntours.com. Also, in Downtown Wilmington are romantic river cruises offered by Cape Fear Riverboats. The cruise starting at 6:00pm until 9:00pm, features a buffet, live entertainment, and a cash bar. For more information visit their website, http://cfrboats.com. A Valentine’s Day activity for the kids is an overnight stay at the NC Aquarium at Fort Fisher. The “Hugs and Fishes Valentine’s Day Lock-In” begins on Saturday at 6:00pm and lasts until 9:00am. The lock-in is for children from ages 5-12 and features games, crafts, animal programs, dinner, snacks and breakfast. To reserve your spot visit www.ncaquariums.com. For more casual Valentine’s Day Valentine fun there is a wine and beer pairing at Fermental at 6:00pm. The event includes live music by Kyle Lindley and Friends and an appearance by the Funky Fresh Food Truck. For more information on this free event visit their website www.fermental.net. The Landfall Country Club offers two Valentine’s Day events, with a prix-fixe menu for dinner on the 13th and brunch in the morning of the 14th. The brunch includes a raw bar, crêpe and flambé station, French toast, and waffles. The four-course dinner is served from 6:00 to 9:00 and costs $55.00. Options for the main course are coffee rubbed beef tenderloin, pan roasted duck breast, and fennel dusted grouper. This romantic dinner in the Grill Room at Landfall is a great way to spend the evening. Tomorrow, February 9, is the Landfall Realty Real Estate Forum. Starting at 5:00pm, the forum will be hosted by Landfall Realty General Manager, Ken Kirkman at the Country Club of Landfall. 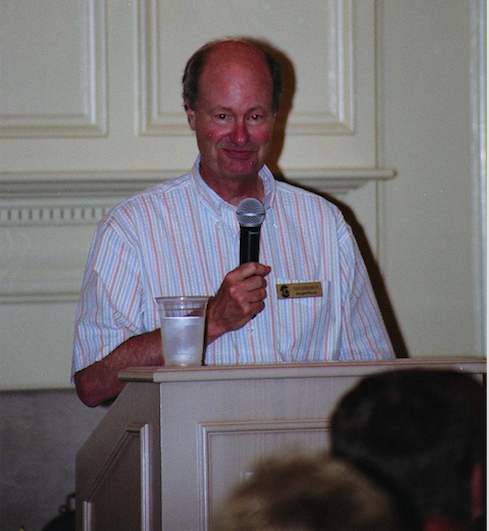 Ken will be giving an update of the real estate market in Landfall, Wilmington, and the surrounding area. All property members and club owners are welcome to attend and have their questions answered. Complimentary beer, wine, and cheese will be provided by, Landfall Realty and Chris Hutchens of Guaranteed Rate. 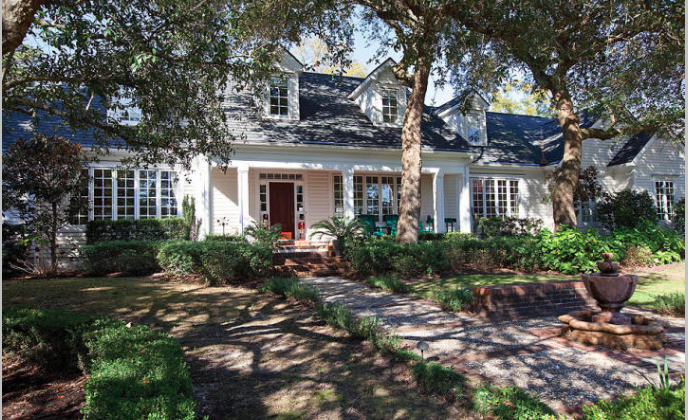 This gracious, sprawling New England Classic home is on one of Landfall’s most desirable streets. Greet guests at the welcoming bar adjacent to the Living Room. Enjoy cooking gourmet meals at the newly renovated kitchen with 4 ovens, a wonderful large island with prep sink, ice machine and compactor. Also included in the kitchen, a SubZero, French detailed farm sink, dishwasher and 6 burner gas stove. 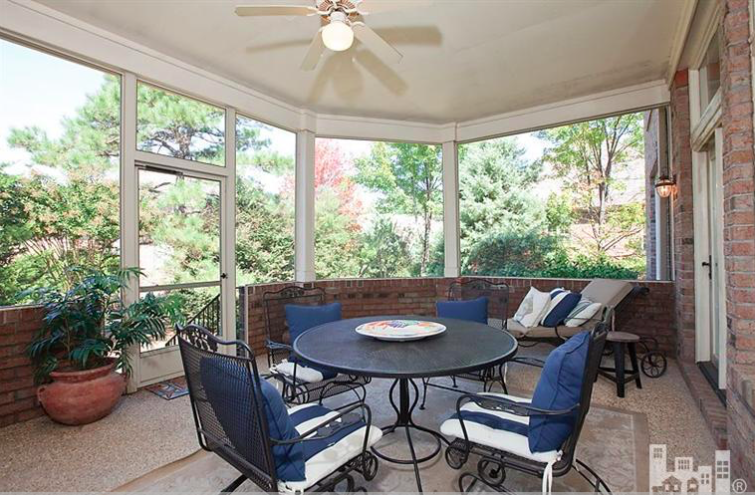 There are four large bedrooms, including a home office, studio for hobbies, and a media room. The master suite on the first floor includes a spectacular closet, and a full bath with steam shower. There is a three-car garage, and huge mud/laundry room with extra cabinetry. Use the back stair to the media room hideaway. Closets and storage abound! 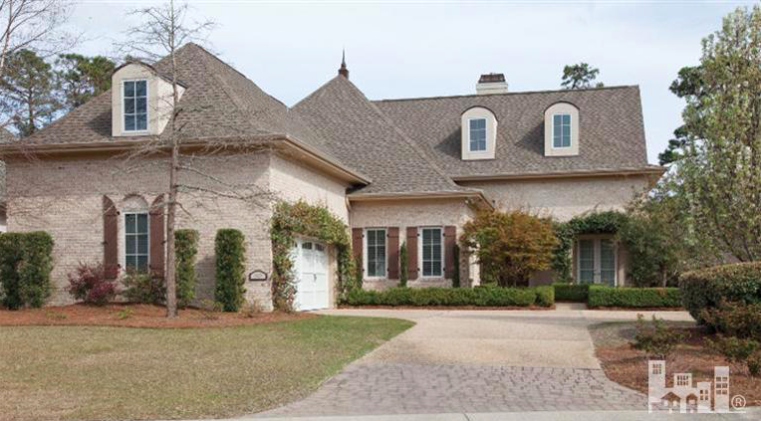 This is a lovely villa home nestled in a beautiful section of the gated community of Landfall, with views of the Intracoastal Waterway and close to the Dye Clubhouse. 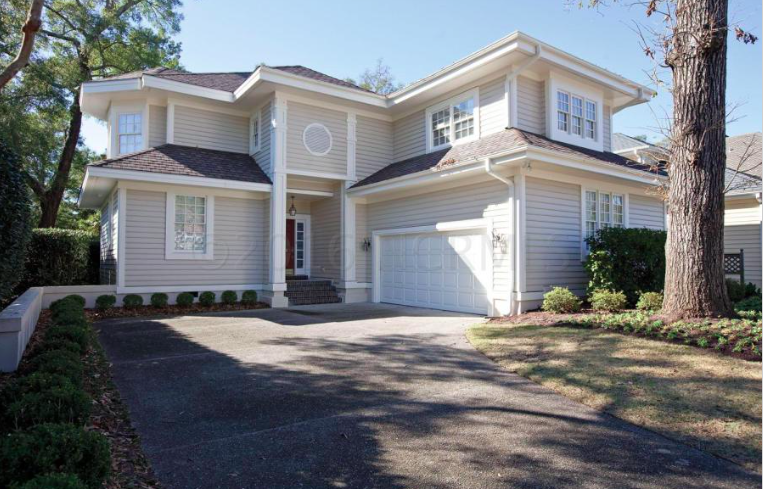 This home has been meticulously maintained, and represents the best of coastal living with 3 bedrooms, 3 baths, a gourmet kitchen, cozy study, gracious living areas and a private terrace. Landscaping is maintained by the HOA. This Saturday is the annual Wrightsville Beach Elementary School Winter Fundraiser. The Casino Night’s theme this year is Mardi Gras! Starting at 6:00, the evening will include a live auction, a silent auction, a DJ and dancing, a photo booth, and lots of gambling. All the money raised from the event directly benefits the children of Wrightsville Beach Elementary School. Last year the event raised $40,000, which went to hiring a new teacher’s assistant, four part-time tutors, paid for technology, and new instructional programs. Tickets for the event can be purchased at http://www.wbsfoundation.org/event-tickets/. Don’t miss out on what is sure to be a fun night for a great cause!